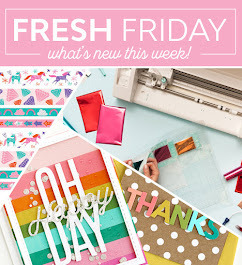 Hello and welcome to a new Crafty Wednesday challenge here on my blog! Before I get to the new theme, I wanted to thank you all for joining in last month, it was great seeing over 50 entries for the very first challenge and I hope you will all join in again this month. Be sure to scroll down to the end of this post to find out who the lucky winner from last month's entries was. 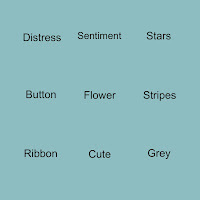 This means you have to use flowers and you have to use a sentiment. 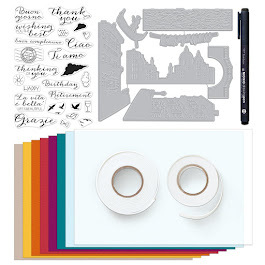 The flowers or sentiment do not have to be the focal point, but they do have to be easily visible on your project, they could be part of the papers, a stamp, die cut or other embellishments. I can't wait to see what you all come up with ... it's been so chilly over here and I know I am ready to see some flowers!!!! I am sharing two cards today because I couldn't decide if I wanted to make a cute or non-cute card, so I made one of each. The stamp platform came in really handy for this card using the new Penny Black slapstick stamp. (Stamp is available brand new in my Etsy shop if you're interested!) I used a mix of distress inks for coloring directly onto the stamp then spritzed with water before stamping to create a little bit of a watercolor look. 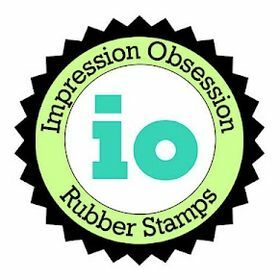 An old stampin up script stamp was then used on the background for a little more interested, I used light blue ink for the script. The sentiment is from the Penny Black set Sprinkles and Smiles . Embellished with a butterfly and tiny pearls, colored card stocks are both by Stampin Up, but I think both are retired colors. I heat embossed the image on Bristol Vellum card stock using my Tonic Stamp Platform again and Versafine onyx ink with clear embossing powder. Zig Clean Color real brush pens were used for coloring with a . (Mid Gray, Light Carmine, Yellow, Bright Yellow, Light Green, (very diluted: Blue). These are all part of the set I linked above or available at Blick Art Materials as singles. Sentiment is from the Penny Black set Sweet Wishes, another set currently available in my Etsy shop. The pretty border above the sentiment is from a set by Victorine Originals - Borders and Plaids II . A little butterfly with pearls finishes off this simple card. 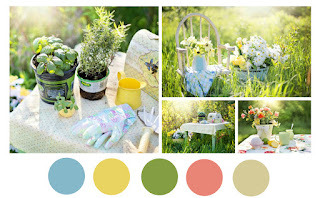 Do check out this fun challenge blog for mood board inspiration. I just recently discovered it and won their challenge last time (lucky me! ), and their mood boards are so much fun to be inspired by! 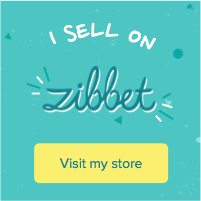 This post contains affiliate links, this means I may earn a small commission if you purchase something through the links, at no additional cost to you. 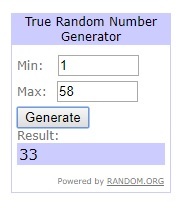 A winner will be chosen by random.org. That is Julie from Muddy Paws & Inky Fingers. Congratulations Julie, please email me at ellibelle_blog at yahoo dot com to claim your prize by midnight April 18th. To play along in the new challenge simply use the linky tool below. You must follow the theme. You must leave a link back here. You may enter up to 3 times. You may combine with other challenges. 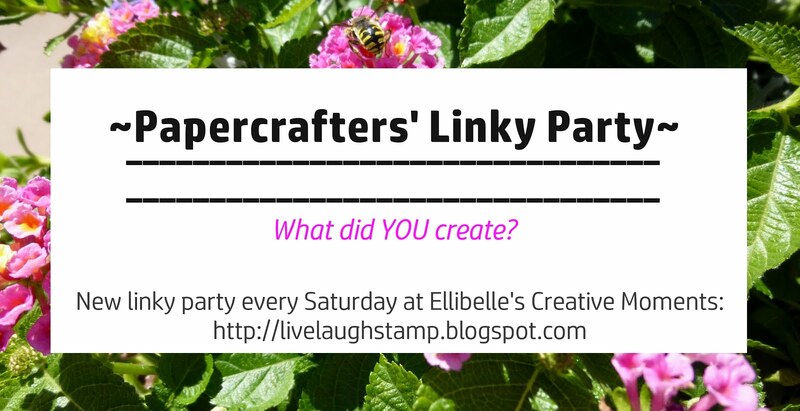 Please note: This is a public blog and by joining in the linky party/challenge you agree to have your first name, blog link & papercraft you shared posted here on this blog, should you be selected as the top pick/winner. If you do not agree to this, please do not join in the challenge. Also, remember that any comments/linked cards left on this blog will be visible by third parties as this blog is public. These are GORGEOUS!! LOVING those flowers!!!!!!!!! Your cards are so pretty!! Also congrats to the winner!! I just LOVE this image and your coloring is perfect! Thanks so much for joining us at The Sisterhood’s ‘Spring Flowers’ challenge and please come back again soon! Beautiful coloring and card. Thanks for joining us at Pause Dream Enjoy Challenges. Two fabulous cards! I love the sweet kitty, he looks so cheerful and ready to shower someone with all his beautiful flowers! Thanks for playing with The House That Stamps Built. They are both AWESOME Cards! I'm more of a CUTESY Gal but love seeing the Elegant ones as well! Thanks for playing along with us over at SumMore Fun Stamp Challenge! Your cards are just gorgeous and your colouring is amazing! Awww... I love that sweet card you linked up to The House That Stamps Built! So cute! Both cards are beautiful and springy! But the 2nd one is just adorable ~ and goes to show how older supplies are still good for lovely projects! Thanks for joining us at UYS. Both cards are wonderful! The kitty card is so pretty and definitely cute! Thank you for playing with us at Retro Rubber and hope you can join us again soon. I'm back again on behalf of the Sisterhood of Crafters and still think your kitty card is adorable. I am a cat lover and would love to get this stamp! Thank you for playing with us at the Sisterhood of Crafters and hope you can join us again soon. Two equally beautiful cards...beautifully designed and full of fabulous Spring elements...thank you for sharing your second card with us at Fussy and Fancy "Spring Flowers"...good luck! I adore this sweet little kitty image, you colored it beautifully, this card brings a smile to my face. Thank you for sharing with RETRO RUBBER, hope you play again soon. What a delightful kitty card! The coloring is great. It is the kitty's cheeky expression that is the show stopper! Thanks so much for sharing and playing along with Retro Rubber. such sweet cards, ellie, the kitty is adorable! Both are lovely cards, the kitty is so cute. Both cards are fabulous ... I loved that watercoloring technique! Thanks so much for playing in our Fussy and Fancy Challenge! Please come back again soon! Your kitty with his arms loaded with flowers is so refreshing after a long winter! He's adorable. Thank you for entering your card in our challenge this week at The House That Stamps Built. Both of your cards are fantastic for spring! Thank you for joining us for the SumMore Fun mood board challenge. Both are so nice I can see why you couldn't decide. I love them both. I love the water colored flowers in the first card and the sweet, cute image in the second. Hey Ellie, I wanted to let you know that my stamp set arrived! I'm hoping to get a card made with it to send you, but in case it takes me awhile, I wanted you to know I got it, and it's adorable. I start back to work full-time after being off for 2 months with pneumonia, so there goes my crafting time. Darn! It's been horrible being sick, but I have enjoyed the extra time in my craft room. Thanks so much! A lovely card!thank you for participate in Colouring in Scrapland.